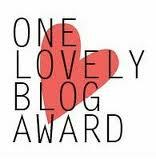 I was recently nominated for One Lovely Blog Award by Ugly Duckling Transformations . Kathryn has some really great transformations on her lovely blog. Check her out! This is a great way to find new blogs or nominate your favorites. Tell 7 things about yourself! My daddy calls me “Lulli” because that is how I pronounced my name as a toddler. I met my hubby at a bar as a foreign intern. I never wanted children but now I have two that I love more than life. I’m torn between the love for two countries. I love mushrooms! Especially cantarella and penny bun! Yum, yum! Here are my nominated blogs! No biggy if you don’t feel like participating in this. I thought it was fun! Thank you so much for nominating me for this award! I just got a few minutes to check out some of your DIY projects and love your style! Can’t wait to see more in the future! You are so sweet!! Thank you so much for the nomination! I just adore your blog! Thanks for stopping by my blog! I have been following you for a while now. We started our blogs around the same time. You put out an insane number of posts on your awesome blog with all you great projects. So impressive! Where do you get the time. My head is spinning trying to get half as much done as you!